A selection of must haves for any pilot, put a smile on his or her face with an aviator gift! A superb gift for any glider owner. These key fobs are high pressure water cut through b.. SOLID SILVER earrings for pierced ears. Price includes post. Presented in ..
Glider Cufflinks Glider cuffllinks, hand crafted to great detail. Rhodium plated and a nice weight..
Made from fine english pewter with an antique pewter finish or gold plate. This miniature uniq..
Quality large badge fitted with butterfly clutch for security. Finished in 22 carat gold or Ni..
Key rings £4.95 each FREE POST to UK address, otherwise see listing.. 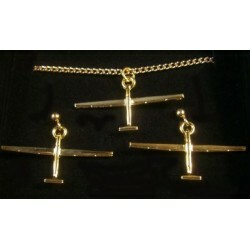 Finish your look with this Glider Pendant Necklace in 22 carat gold or nickel (chrome) pl.. Stylish 22 carat gold plate or nickel plate Necklace and Earring Set for pierced ears. Suppli..
A quality gliding print taken by the award winning photographer, Sandy Hawkyard. Sandy is well kno.. This DVD is the story of four young aviators introduction to competitive gliding under the supervisi..